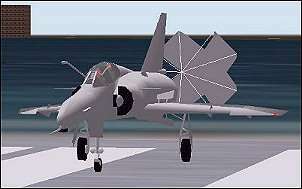 30 December 2000 - Alpha Simulations has added a Mirage IIIB-RV in Armée de l'Air colors (below) to their FS Supermarket. Look for it in the "Others" section. The aircraft includes an all-new panel and high-resolution texturing (it will only work in FS2000 and CFS2). 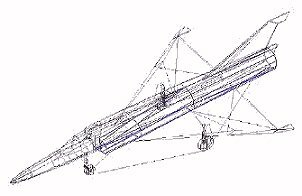 27 December 2000 - I've added a translation from Portuguese of a test flight article of Washington Fernando de A. Kuhlmann Jr.'s original Mirage IIIDBR courtesy of Adriano Axel Pliopas Pereira and the Fórum de Simulações Aéreas (FSA) of Brazil. 17 December 2000 - Just wanting wish everyone a joyous Holiday season. I added a neat java applet on the index page for the occasion. 30 November 2000 - Alpha Simulations is scheduled to release a new add-on package in early 2001 titled "Jump Jet". The subject is the Harrier V-STOL aircraft but the package revolves around the 1982 Falkland Islands War. Among the aircraft included is a Fuerza Aérea Argentina Mirage (below) with sounds and panel. Check out Alpha's website for more images and complete description. 28 November 2000 - Today marks the first year anniversary of this website. There are a lot of people to thank for making this possible. So I'll do just that. 25 November 2000 - This website hit a milestone today with our 25,000th (25K) visitor. Thanks everyone. 20 November 2000 - Its turned into a very busy month at work with little time for Flight Simulator. I've added a few links and some scenery for South Africa and Spain. 3 November 2000 - Jason Ashworth has modified his Cheetah to Cheetah D No. 844. This is the sole &QUOT;D&QUOT; with a one-piece, frameless windscreen; an ATAR 09K50 (the other D's have the 09C); and the Advanced Combat Wing. It is Denel's Technology Demonstrator. I've also added scenery for Morón Air Base in Spain and another European military track by Bernd Barsch for use with FSTraffic. 24 October 2000 - No new aircraft this time but I have several projects in the works. I've taken a few minutes away from working on them to put together a preview page to show what I expect to have available before the end of the year. 12 October 2000 - Colin Norwood has sent an update to his Mirage 5BR in the markings of Belgium's 42nd Reconnaissance Escadrille. 11 October 2000 - Its here! Colin Norwood has completed his extensive updating and conversion of Anton Coetzee's Cheetah AFX to a Mirage 5BR. He has done a great job. 8 October 2000 - Colin Norwood has nearly completed his updating and conversion of Anton Coetzee's Cheetah AFX to a Mirage 5BR. He has been sending along images to show the progress. It is coming long nicely. 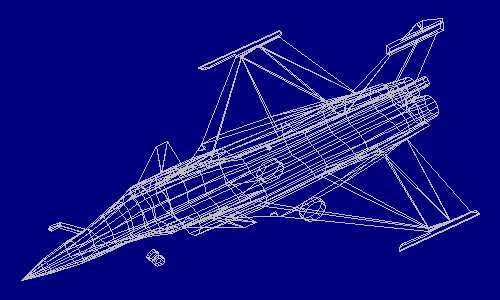 28 September 2000 - Bernd Barsch has been working on a series of military aircraft tracks for use with FS98/FS2000 and FSTraffic 1.5. His latest release covers western European air bases. Included are tracks for 22 Armee de l'Air and Aeronavale Francaise bases. If you have FSTraffic try this out. See the scenery page for a full list of military track files. 21 September 2000 - Jason Ashworth attended the Africa Aerospace and Defense 2000 exhibition earlier this month and sent me an email and images describing the static and flying Mirage and Cheetah displays. He saw a Cheetah D2 with the new Advanced Combat Wing modification and remarked that he now intends to modify his Cheetah to include the new wing. So we can look forward to that sometime in the future. Also on display was a Mirage F1AZ armed with Russian air-to-air missiles. I've gathered some additional pictures and put together a page on the Mirage F1AZ in South African service. 11 September 2000 - Colin Norwood has been working on his conversion of Anton Coetzee's Cheetah AFX to a Mirage 5. "The control surfaces are on and the gear also. It now has a jetpipe more realistic to how it should be, and has been reworked to include the doors, etc. Next will be the addition of some fuel tanks and the splitting of the fuselage to give a better texture resolution. The first release will be the Mephisto Mirage 5 from Belgium followed by numerous Mirage III/V variants later in the year." 6 September 2000 - Its been a slow couple of weeks for aircraft. I've updated the scenery page with some new update listings and have removed some that were of FS5 vintage and didn't work well in at least FS98. I've added John Mapstone's scenery of South Africa. It includes several military airbases. I've also added a link to his website where you can find additional scenery for that region. See May 13 below for relavent aircraft suggestions. 27 August 2000 - Jason Ashworth's Cheetah D has been repainted as a Dassault/ENAER Mirage 50DC Pantera in the colors of the Fuerza Aérea de Chile. 19 August 2000 - I found a Mirage IIIS in a gray Swiss Air Force color scheme. In case you haven't noticed, the aircraft are arranged by release date on each page, not in the order I found them. 12 August 2000 - I've located another panel for the Mirage 2000. It is August so Michel Gérard is on holiday but has assured me he will return to these webpages soon. 5 August 2000 - I've added three new aircraft, all in South African colors, by Vasco Ferreir. The visual models are novice at best but the flight models aren't too bad and this does keep the collection complete. Included is a Mirage IIIEZ and two Mirage F1s. 30 July 2000 - I've located another Rafale. This one includes a working tail hook. I've also found a scenery file of the French aircraft carrier &QUOT;Foch&QUOT; so you can try your hand at carrier takeoffs and landings. 23 July 2000 - I've updated the scenery page with one new item, Florennes AFB in Belgium, and FS2000 updates to several others. I've also listed several other scenery files. As I try them out I'll add images or remove them. 19 July 2000 - Marc Siméon has completed his Rafale B. It is painted as Prototype B01 with Armée de l'Air markings and is now available for download. Dassault has updated their website. They now feature short videos on the Mirage III/V-50, Mirage F1, Mirage 2000, Rafale, and Etendard/Super Etendard. 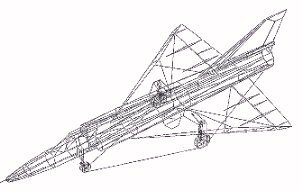 12 July 2000 - Marc Siméon's Rafale B project is coming along nicely. Marc sent a beta copy for me to fly around in FS2000. Here are some more images and comments. 9 July 2000 - Colin Norwood, who has a few Mirage aircraft featured here, has been updating Anton Coetzee's original Cheetah AFX file to a Mirage V. The AFX is over four years old so this is no small task. As the screenshot below shows, the new aircraft has the wing leading edge extensions removed and all control surfaces have been separated for animation. It will also have a reconnaissance nose so we should see some new Mirage 5BR and IIIRs by late summer. 7 July 2000 - I happened upon another repaint of Remi Moreau's Rafale. This one is also based on the markings of Flotille 12F of the French Aéronavale. I've also added a few new links. 1 July 2000 - Eric Bressant has repainted Remi Moreau's Rafale in the markings of three French Aéronavale aircraft: the prototype M-04, a Flotille 12F aircraft, and an Escadrille 59S aircraft. Jason Ashworth has answered my request for an aircraft with wing tanks by adding a pair to his Cheetah D. Thanks again, Jason. 17 June 2000 - Very big day today. This website had its 10,000th visitor. That's not bad for less than seven months. Thanks everyone for continuing to stop by. And thank you simvol.org for the mention. 16 June 2000 - Jason Ashworth has completed his Cheetah D. It looks great and is now available for download. Thierry Romain has made the first Dassault Super-Etendard for Flight Simulator. Both are available on a new page titled &QUOT;Other Mirage&QUOT;. I've also grouped the Mirage derivatives (IAI Kfir and Atlas/Denel Cheetah) on this new page. 10 June 2000 - I've added a few new links. 1 June 2000 - Periklis "Theseas" Pagratis sent in a new repaint of the Mirage F1 in the colors of the Hellenic Air Force (Elliniki Polemiki Aeroporia Mirage F1CG). 22 May 2000 - I've added two new aircraft. The first is the original two-seat Mirage IIIDBR by Washington Fernando de A. Kuhlmann Jr. in Brazilian Air Force colors. The second is Kuhlmann's two-seater repainted as a Mirage 50DC/Pantera in the colors of the Fuerza Aérea de Chile by Nicolas Sepúlveda. 13 May 2000 - Mike McCormack, who made the panel for the Mirage F1, sent some images from the Test Flight and Development Centre at Bredasdorp, South Africa showing their testing of Mirage and Cheetah aircraft. 4 May 2000 - Michael Gérard has provided a set of approach plates for the Salon-de-Provence scenery. I've also added a link to the Conservatory of the Air and the Space of Aquitaine website. Thanks to Joël Branchu for the tip. 27 April 2000 - Two new scenery files have been released this month covering Salon-de-Provence and the Bourgogne region. Both include French Air Force bases. 20 April 2000 - Marc Siméon, who repainted/modified Jason Ashworth's Mirage F1 to produce a couple of examples in French Armée de l'Air colors, is working on a Rafale B. Marc sent in a screenshot from AF99. No one has worked on a Rafale in over three years so this is a welcome project. 9 April 2000 - A new book has been published on the Mirage IIIC. Michel Gérard has given us a review with illustrations. I've added a Kfir C2 in the colors of the Fuerza Aérea de Ecuador. 2 April 2000 - I've added a few new links. Jason Ashworth sent me a pre-beta copy of his Cheetah D. Its coming along very nicely as you can tell from these screenshots. 26 March 2000 - I've added a new article by Michel Gérard. 18 March 2000 - I've added a few new links as well as a new article by Michel Gérard. 16 March 2000 - I've added five additional aircraft this week. All are the work of South American painters. The first is a Mirage IIIEBR painted in the colors of the Brazilian Air Force-FAB. Next is a Mirage F1-JA in the colors of the Fuerza Aérea de Ecuador. The final three are a Mirage M5P and a pair of Mirage 2000DPs, all in the colors of the Fuerza Aérea del Perú. 12 March 2000 - Michel Gérard has sent a photo and commentary on a meeting of Swiss Vampire and French Mirage aircraft. This is very interesting reading. And as always, the photo is outstanding. 6 March 2000 - Early this week three repaints of the Anton Coetzee/Yves Franckart Atlas Cheetah were uploaded to the usual locations -- two painted as IAI Kfirs and one described as an IAI Nesher. The AFX used dates back to the days of FS5.0 in early 1996. So it is quite dated and they exhibit the 3D display problems described on the Conversion page. The repaints also include details completely incorrect for the aircraft depicted. I've included them on the Other Mirage page to keep the file archives complete. Later in the week, one of the Kfirs was uploaded again by another contributer with moving parts added as well as a combat damage file for use with CFS. Michel Gérard has sent another interesting photo with commentary. This time the Mirage 4000. 2 March 2000 - Michel Gérard has sent an installment including one of his photos of a Mirage 2000 and commentary. As always this is very interesting reading. And the photo is outstanding. 24 February 2000 - It is with a great amount of excitement that I introduce to this website a new page, but more importantly, the subject of that page. Michel Gérard, formerly on the editorial staff of the french aviation magazine AIR FAN has agreed to provide periodic photos and information relating to Mirage aircraft, his experience with the French Armee de l'Air, as well as comments/reviews on the scenery, aircraft, and panels featured on this website. 22 February 2000 - Added a few more links. Also added the first, that I've seen, scenery for FS200 depicting a European Air Base. This one is Chièvres AFB in Belgium. The scenery is by Early Bird and is designed to have minimal impact on frame rates. 14 February 2000 - Happy Valentine's Day everyone. I found a piece of scenery	that I've been looking for for quite a while. The subject is the French island of Corsica, the "Island of Beauty". The scenery includes Solenzara Air Base (BA 126). From here, French Armée de l'Air crews (and visiting aircrews from some NATO countries) have gunnery practice over the Mediterranean in a shooting range know as D 67 (Dangerous Zone 67). 11 February 2000 - Jason Ashworth has sent in a couple of photos. 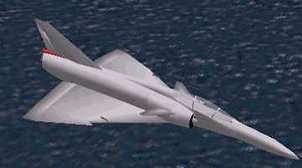 One of his upcoming Atlas Cheetah D (the earlier version with windscreen frames, Mirage III main gear doors, and inflight refueling probe) shown below with drag chute deployed. And an IAI Kfir TC2/7 he has been working on. The Kfir includes the characteristic dorsal intake and shortened rear fuselage for the J79 engine. 6 February 2000 - Always on the lookout for new Mirage aircraft I've found a commercial software package for Flight Simulator that includes two Mirage IV bombers. The Mirage IV hadn't been mentioned on this website before because no one has made a freeware version. The package, Air Power - Cold War, is available from Alpha Simulations. The Mirages are by Colin Norwood who has a Mirage V and a Mirage 2000 featured here. 30 January 2000 - A couple of weeks ago I gave a heads up on a new aircraft from Jason Ashworth. The Cheetah D is coming along. Jason sent the image below and says a little more tweaking is required so he will have the resources in the MDL available to include animated parts. 20 January 2000 - Cool! This website just won an award. It is a "Flight Sim Select Site". This award came from CompuFlight.com. The award image is on the home page. 17 January 2000 - I've added a little something at the bottom of the home page. Using a search engine developed by Simvol.com, and the databases of CompuFlight, this will search the Flight-Sim directories on the IUP anonymous FTP server. In case you don't know, the IUP archives go back to early 1994 and are huge by this time. The search engine is very fast and a big improvement over previous methods for searching IUP. 14 January 2000 - New aircraft on the horizon. Jason Ashworth, who gave us the fantastic Mirage F1, has been working on a Cheetah D. This is not a rework of older Mirage IIIs or Vs dating back to the days of FS5, but a new aircraft from the ground up -- designed around the 3D environment of FS98 and FS2000. A sneak-peak is below. 9 January 2000 - Its been a slow week. I did however, manage to locate a website for Daniel Mrawek, the designer of the various Mirage 2000 aircraft available for Flight Simulator. From there I have obtained a more complete AFX file set including texture files and some additional background. 1 January 2000 - Well, it looks like we all made it successfully into the New Year. And the predicted Y2K problems were kept in check. In the meantime, I've added a few new links. I've also added a version of this &QUOT;What's New?&QUOT; page translated in French.